Even with over a decade in the rap game and an established acting career focused outside of making music, Ludacris still has plenty of bars left in him. The Fast and the Furious star recently dropped off a new track, "Vices," with the official music video accompanying the track arriving merely days later. Throughout the track, Luda waxes poetic about his guilty pleasure habits, including showing love to two of his vices, Tanqueray and Mary Jane. Adding a nice comedic touch to the Eif Rivera-directed visual is a giant alter-ego version of the rapper, who accompanies him for a festive jaunt to Las Vegas. 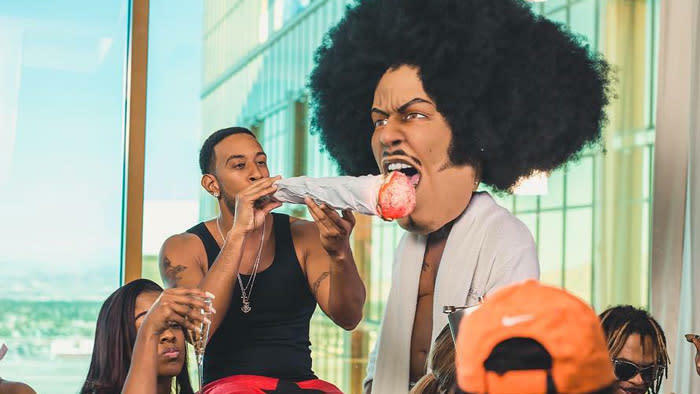 Check out Ludacris' music video for "Vices" below.